Discuss PaintCare and its history. How was the organization developed? What is its mission/purpose? Of the approximately 800 million gallons of architectural paint sold in the U.S. each and every year, it is estimated that around 10 percent goes unused despite being eligible for reuse or recycling. To address this critical waste management issue, members of the American Coatings Association established PaintCare, a nonprofit organization dedicated to operating recycling programs across the country in states enacting new paint stewardship laws. PaintCare provides window decals to businesses that volunteer to serve as drop-off sites. Since 2010, PaintCare has introduced such programs in California, Colorado, Connecticut, the District of Columbia, Maine, Minnesota, Oregon, Rhode Island and Vermont—collecting more than 30 million gallons of paint for stewardship, and helping local governments save hundreds of thousands of dollars annually in paint management costs. PaintCare’s mission is to reduce the amount of leftover house paint, stain and varnish by informing customers how and where to use up and recycle unused supplies of these products. In those states with a paint stewardship program, PaintCare’s primary effort is to set up conveniently located drop-off sites where residents and businesses may take their unwanted paint for no charge. Of the more than 1,750 drop-off sites across the country (from nine in D.C. to more than 750 across California), the majority are located at neighborhood paint and hardware stores that have volunteered to participate in the program. PaintCare also provides public education about “painting smarter,” including tips on buying the right amount of paint for the job, extending the life of unused paint, making the most of whatever you have left, and finding people and places potentially interested in your remaining paint. For those living in participating states who have at least 200 gallons of leftover paint, PaintCare even offers a free Large Volume Pick-Up Service. How does a municipality partner with PaintCare to open a paint drop-off site? What are the steps? How does one go about finding out the regulations/compliance for this in each state? In states that have passed a paint stewardship law and adopted the PaintCare program, we welcome partnerships with municipal agencies, especially those that operate household hazardous waste collection programs, transfer stations, recycling facilities and landfills. With these partners PaintCare covers the cost of paint storage bins, paint transportation and recycling, and public outreach and education. There is no monetary compensation for operations or labor costs associated with serving as a drop-off site. Painting contractors can clear storage spaces by using PaintCare’s Large Volume Pick-Up service if they have 200 gallons or more of leftover paint (measured by container size). For municipal agencies that wish to offer services to PaintCare in addition to serving as a drop-off site, monetary compensation may be negotiated. 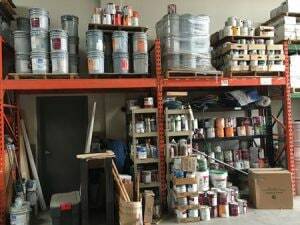 These additional services include reprocessing paint at your site, bulking paint in situations where storage space is limited, offering usable paint in original containers to the public (Reuse Program), and transportation from municipal satellite sites (e.g., landfills) to a main site. We have posted fact sheets for HHWs, Landfills, Transfer Stations and other potential partners on www.paintcare.org. We ask prospective partners to visit the page for their PaintCare state and look under the “Waste Facilities” tab to find the fact sheets pertaining to that state, and then fill out our online interest forms or contact our local staff person. If a municipality or organization already has a local HHW program in place, can they transition to the PaintCare program? How? Yes. In fact, we work with nearly every HHW program in each PaintCare state. This ranges from one program each in Washington, D.C., and Rhode Island, to more than 100 in California. In most cases, once an HHW program signs on to becoming a PaintCare partner, they simply box up the paint they collect and our hauler picks it up and manages it from there, sending it to paint recyclers. As a PaintCare partner, the HHW programs no longer pay for paint storage bins, transportation, or recycling and proper disposal. In addition, HHW programs that offer reuse (putting good used paint on a shelf for the public to pick up), or that re-blend paint at their facility (again, to give away to the public), receive additional compensation from PaintCare since they are managing paint in the best way possible and are also saving PaintCare money through reduced transportation and processing of that paint. PaintCare also pays HHW programs for a few other additional services that they may provide including bulking oil-based paint and consolidating paint from their sites to one location (“local transport”). The programs consist of both year-round sites (more than 180), and one day “round up” events, of which PaintCare has supported nearly 4,000 to date. PaintCare provides paint recycling services at these events for residents and businesses. Left: PaintCare staff booth at a typical PaintCare drop-off event. Right: PaintCare provides educational signage for staff and customers at leftover paint drop-off sites, such as this sign that lists paint products accepted by PaintCare, and those PaintCare is not able to accept. What Does PaintCare Do with the Special Waste that is Collected? How is it Recycled? Paint that is dropped off is packed into larger containers (boxes or drums) by the staff at the drop-off sites. One of PaintCare’s hauling companies picks up the paint and takes it to their facility for sorting by type. PaintCare manages the paint according to a policy of “highest, best use.” Our goal is to recycle as much as possible. If the paint is not recyclable into new paint, we find the next best use for it. Latex paint and other water-based products are separated from oil-based paint and other solvent-based products. Most of the oil-based paint is then taken to a cement plant where it is blended into a fuel and burned to recover the energy value. Most of the better latex paint (paint that is not rusty, molding or spoiled) is sent to recycling companies and reprocessed into new paint in standard pre-tinted colors. Some latex paint is used to make other products or used for alternative daily cover at landfills. Overall, about 1 to 3 percent of the paint we receive is simply reused. Some paint is nearly new and in excellent condition and is given away “as is” at some household hazardous waste programs that partner with PaintCare and have reuse programs or “swap shops.” Non-profit ReStores (such as those operated by Habitat for Humanity) that serve as PaintCare drop-off sites also screen out some of the usable paint and sell it in their store. Very little paint is sent to a landfill as waste. In some PaintCare states, none of the paint is sent to landfill as waste. In others, a small portion, about 5 to 6 percent, is sent to a landfill. How many gallons of special waste have been collected since PaintCare was started? How does the organization spread awareness of these programs? What are the next steps for PaintCare? We have collected nearly 33 million gallons of leftover paint since PaintCare started in 2010. Currently we are collecting at a rate of about 600,000 gallons per month, and we are on track to exceed 7 million gallons this year. 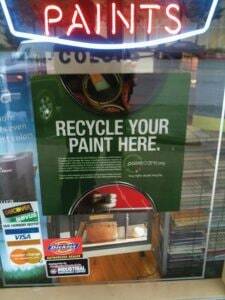 PaintCare’s umbrella organization, the American Coatings Association, continues to advocate for new states to adopt paint stewardship laws and receive the benefits of the program in terms of recycling convenience, savings to local government and diversion of paint from the waste stream. There are a number of states that are actively exploring paint stewardship, and, in some cases, there are laws currently under consideration in state legislatures. PaintCare focuses a great deal of its energy on educating the public in PaintCare states to increase awareness. Our Web site is our most powerful tool, since we host an interactive map that allows people to search for the nearest paint drop-off sites in their communities. We use newspapers, radio, television, digital and social media to point people to the site locator and take advantage of our service to dispose of their paint responsibly, not to mention free up storage space in their homes and businesses. We also educate consumers about purchasing the right amount of paint for their job to reduce the amount of unwanted paint available, as well how to store it properly in order to avoid drying and spoiling, and offer tips on how to use up what is left on a craft project or by sharing with others for their painting projects. 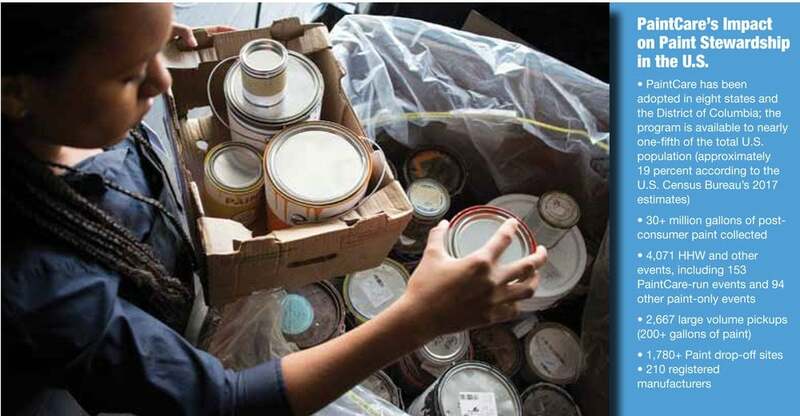 We also recently launched a new initiative that will offer grants to develop new uses for the small fraction of leftover latex paint that cannot be recycled or otherwise re-used. We think there are ideas out there for additional uses, but funding may be needed to bring these ideas through to commercialization. Three of our PaintCare states will fund grants of up to $100,000 to help realize these ideas, and further reduce the need for any paint to be sent to a landfill. For more information, call (855) 724-6809, e-mail info@paint.org or visit www.PaintCare.org.